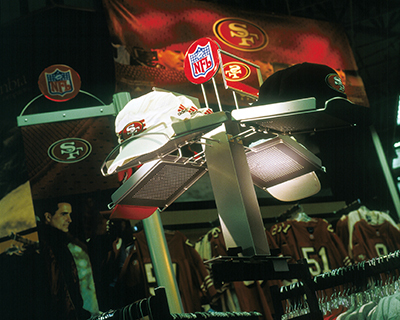 Capitalizing on one of the greatest brands in the world, the NFL wanted to carve out its own in-store environment. 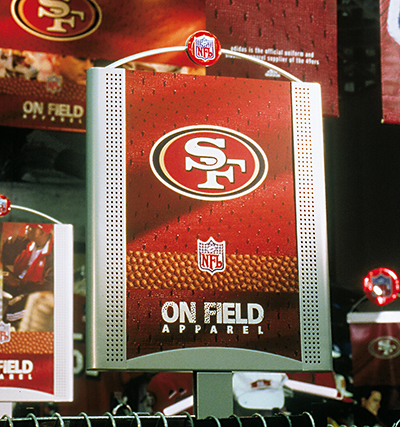 The challenge was creating a stand-alone system that could easily be installed in any Big Box Sporting Goods Store, in any NFL City. 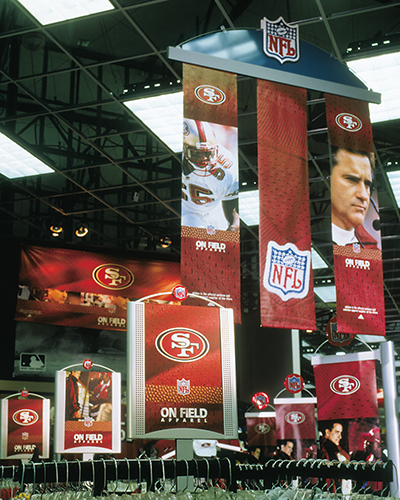 After conducting a photo shoot with each NFL coach, and sourcing action photos at NFL Films' Headquarters, a turn-key environment was designed, shipped and built specifically for each NFL team.